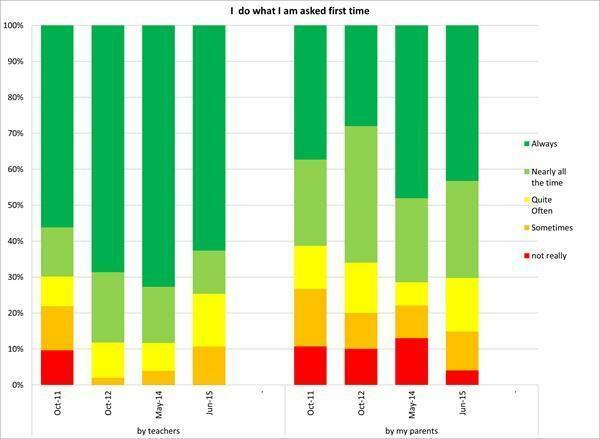 Every year, for the past 4 years, we have measured children's attitudes towards learning and how the children's learning habits are improving. This is something that helped us to gain our Character Award from the DfE earlier this year. The judges were very interested in how it showed the impact of our children's hard work and the work of the Council. 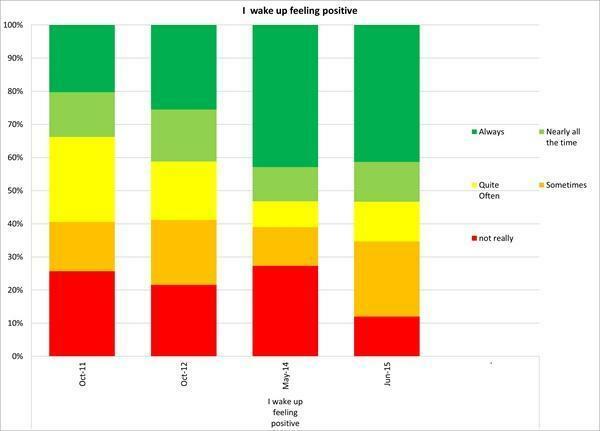 Some of the results are show below. They show a positive picture that more children are answering 'always' or less children are answering 'not really'. 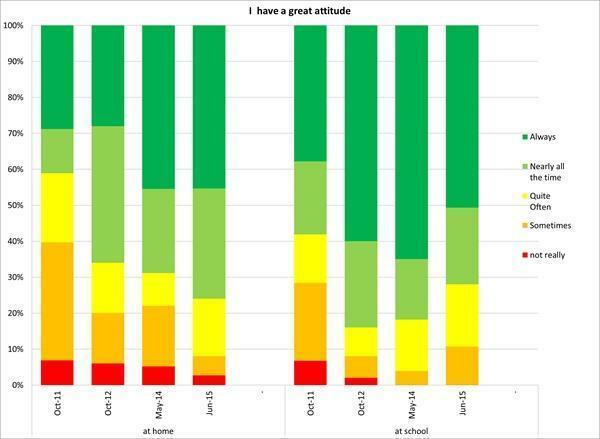 It is interesting to look at the graphs that show home and school questions. If parents want to find out more about these results or want to talk about trying something like this at home, please speak with Mr Ellis or Mrs Moulds. 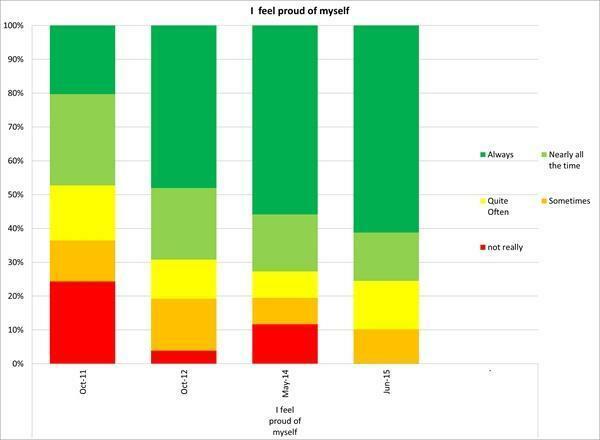 We now use these graphs to help us to plan our focus for the curriculum next year, so watch this space to see how we can improve the results even further!